I love it that there was an opossum in my bathroom this morning when I got up. Why? 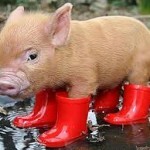 Because I’m one of those people who love all animals without exception. If I see an animal, especially an exotic, rare, or even dangerous, animal ~ my very first impulse is to touch it. In fact, I once touched a black bear’s paw, a lion’s nose, and I made a cougar purr. (I loved that especially!). But that’s a whole other story. Yup. An opossum in my bathroom. It made my day. I’m thinking he’s been around for a few days because I kept hearing a ruckus in the basement and things in the closet halfway up the stairs to the kitchen were being knocked around. Then the last two mornings, the lower kitchen cupboards were open. I just figured it was one of my 6 cats. Then, this morning I was awakened by a commotion coming from the bathroom. 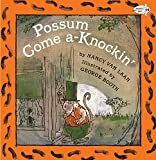 It was the opossum, behind the toilet. He had knocked a few things over. He looked scared, as they all do when they’re cornered. I was surprised that my cats seemed uninterested. 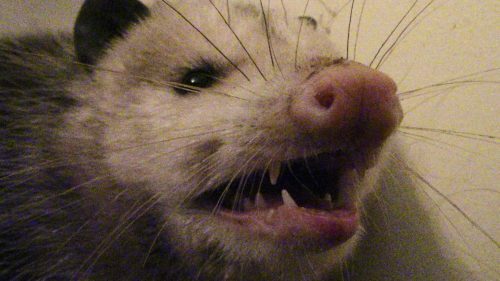 Anyway, I did what all people should do when they find a wild animal in their house, especially an opossum in my bathroom. I sat down on the floor and talked to him. I petted him too, of course. He was SO SOFT. It felt like a cat’s fur. Usually, their hair is fairly course. Last year, I petted another opossum that we’d trapped from someone’s garage, and his hair quite was course. The next proper thing to do was to get my camera. I took tons of pictures and I share a few of them here for you. The lighting wasn’t very good, unfortunately, so they’re not the greatest pics. They’re a little grainy, but they’re better than nothing. After the photo shoot, it was time to let him go where he belongs – outside. But first let me tell you a few things about the opossum. 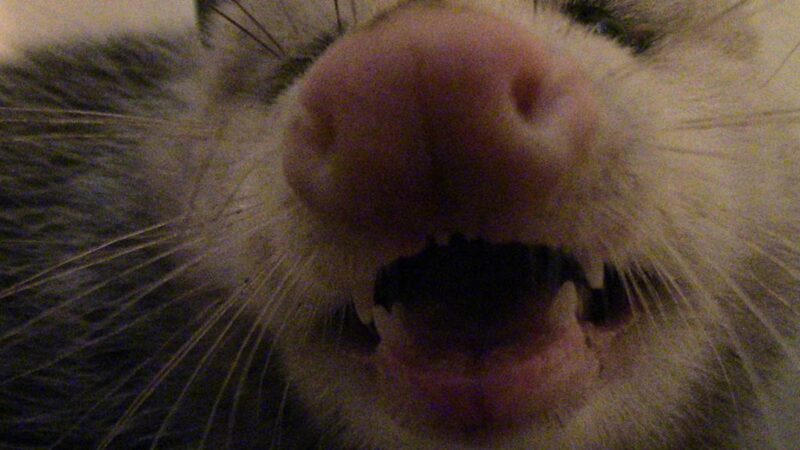 So many people fear the opossum more than any other wild animal. They afraid of being attacked or getting rabies. 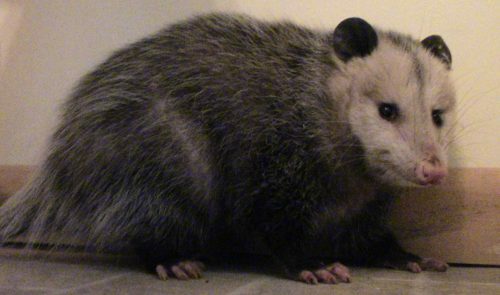 Honestly, I think people are afraid because opossums are, well, ugly, so they associate bad things with it. Opossums are marsupials, meaning they have a pouch for their young, like the kangaroo. They are mostly immune to venomous snakes. Opossums DO NOT have rabies. It’s a common misconception, but in fact, it is extremely rare, if even possible, for opossums to get rabies. The reason for this is that their body temperature is too low for rabies to survive and replicate well. 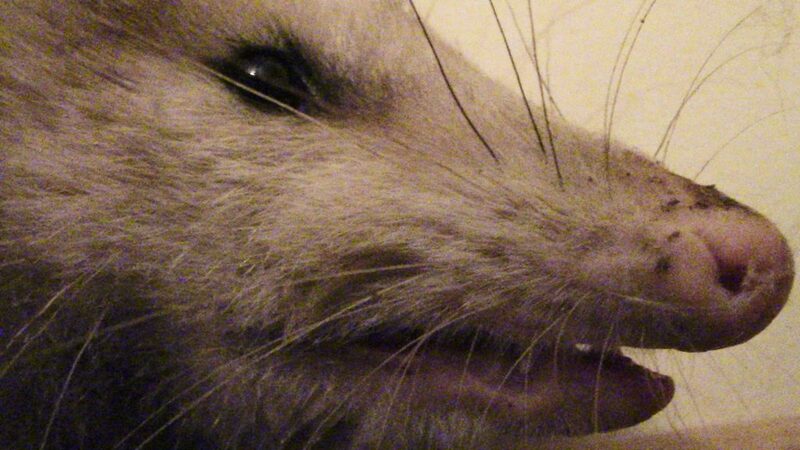 You will sometimes see an opossum drooling, and that’s why people think they may have rabies, but the drooling is only a consequence of being afraid. They will bare their teeth, which looks menacing, but it’s a natural reflex meant to scare predators away (which usually works). Even baby opossums will do this. 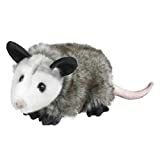 Having said that, Opossums WILL bite if they feel threatened, cornered, poked and prodded, so approach with caution if you must handle one. Normally, though, they won’t bite, they’ll just bare their teeth, hoping to intimidate you. 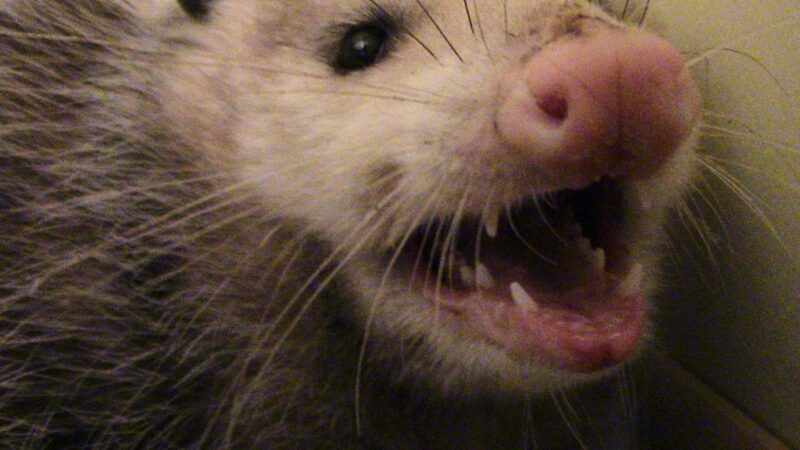 Opossums will not attack your children or your pets. They will not chase you or your kids. They do not attack. I saw that firsthand this morning. 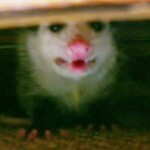 The opossum in my bathroom couldn’t have cared less about the felines in my domain. Opossums play dead when feeling too threatened. They will roll over, become stiff as a board, and send out a smell that would convince any living creature that it is, indeed, dead. This fools predators into thinking it’s spoiled meat. 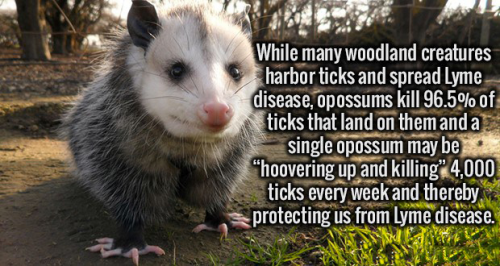 Unfortunately doesn’t work against cars, which are the most common killer of opossums. 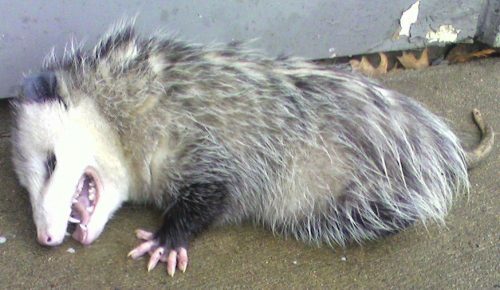 When playing dead, the opossum goes into a semi-conscious state and it takes time for them to recover from it. 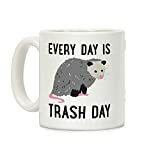 So if you think you’ve found a dead opossum in your basement, attic, or yard, please don’t be too quick to throw them in a dumpster (which they won’t be able to climb out of), or use a pitchfork to pick it up. Unless you’re absolutely sure it’s dead, do the humane thing and put the opossum in a safe place outside where it can go on its way after it wakes up. 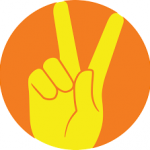 Find out how below. While it’s unclear whether this does, indeed, help slow down the spread of Lyme disease, it does help to keep the tick population down in the area. This means, of course, less ticks on your dogs and cats. 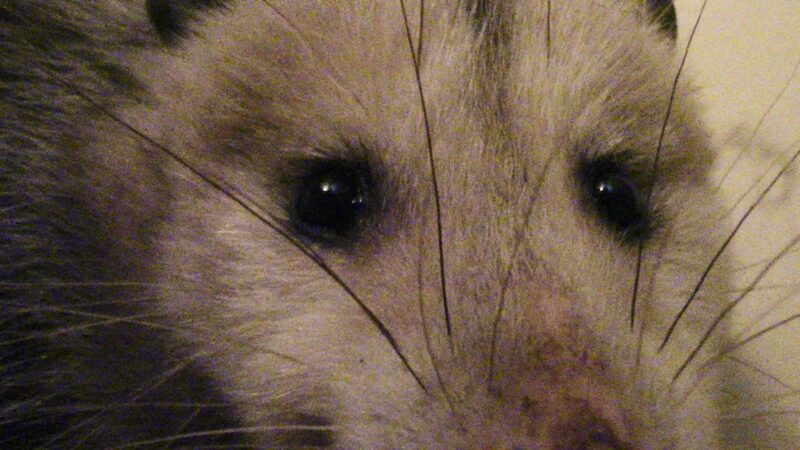 Call the wildlife conservation office in your area, or the Humane Society for advice on what to do with the opossum. If you are a do-it-yourself kind of person, like I am if it means being around an animal, handle with care. To be really safe, wear thick gloves. Gently hold the opossum by the scruff of the neck so he won’t bite you, and hang on to the tail. You don’t have to hold him very tight – it’s not necessary. You can flip him over too, belly up, while carrying him out, if you want. It seems to calm them down a bit. You can also just grab it my the tail and carry him out that way, but I can’t do that. I don’t know if it’s painful for them or not, but what if …? OR, the best way is to live-trap them. 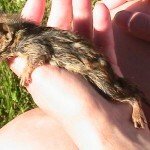 The use of a live trap is the safest and surest way to get that little bugger out of your house or property. And, it’s humane. After they’re safely trapped, you can take them to a safe environment suitable for them, and let them go. In my opinion, Havahart makes the best live traps. We’ve used them to trap opossums, raccoons, and feral cats (which I then take to get spayed and neutered). The traps will last years. Ours have! 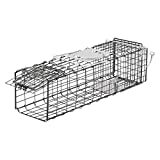 OxGord Humane Pest and Rodent Control Live Animal Trap - 24" x 7" x 7"
FYI: There is a difference between opossums and possums. Opossums live in North America. Possums live in Australia. I truly hope you enjoyed reading about the opossum in my bathroom. It certainly was a thrilling morning for me! Take care. 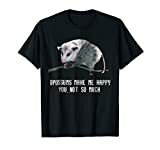 An oppossum literally killed my cat last October. So I don’t know how you can say in full certainty that they won’t attack. Oh, I’m so sorry to hear that, Crocky. 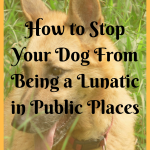 They’re naturally docile but if cornered and feeling threatened, or especially if they’re worried about babies, they will do what they feel they need to do to protect themselves. What a little cutie!! Such a fun surprise! I just followed you on instagram. Loved this, I am also one to be hands on when it comes to critters, smiled hearing first thing you did was sit and talk and stroke it. Years ago when I worked 8 hour swing shift(or maybe after 12 hour day but pretty sure it was about MN) I was walking out to my car, and across the street I saw what I thought was a cat, so talking to that as I walked down to the corner and it was listening to me and walking on his/her? Side. Before going to the car started to walk across to say hi when realized it was not a cat!! Cracked me up as I returned to my side and let it go it’s way. By the way ugly? I think they are adorable! Thanks so much for the feedback, Cheryl. 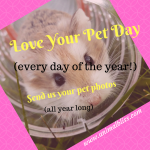 I love hearing from people who are as crazy about animals as I am. That’s a funny story about you and that cat/opossum. lol Anyway, thanks for taking the time to read my post. Come back soon! I’m so glad my post cleared up some misconceptions for you, and thanks for the feedback. I love it when someone says they enjoy one of my posts. Take care! Thanks for stopping by.